Mary Christine Melikian of Worcester, Massachusetts died at the age of 89 on 22 September 2015. Those Interested in Armenian and Armenian-related Photos Can Show their Commitment to Preservation of their Heritage. What follows includes an overview of the Melikian Project. It includes a letter of thanks from Mary completed and finalized the late in the afternoon the day before she died peacefully and unexpectedly. 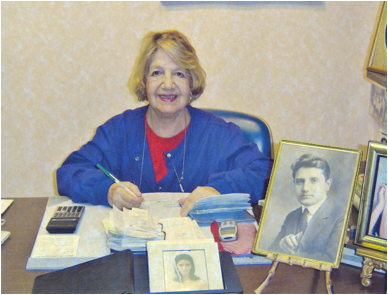 Funeral Services were held Wednesday, 30 September 2015 for Mary Melikian. They took place at the Armenian Church of Our Saviour in Worcester, Massachusetts. “To those who were instrumental in getting the Armenian Photographs and Materials from the K.S. Melikian Collection to the Library of Congress, Prints and Photographs Division: thanks to my friends Abe Krikorian and Gene Taylor of Long Island, and to my many friends associated with Congressman Jim McGovern's Office here in the City - Gladys Rodriguez and her husband Steve Parker and the volunteers who generously volunteered their non-work hours, valuable free time, to getting materials ready for transferal to Washington, D.C. Some shipments, being very fragile, like old time glass negatives, were hand delivered. All devoted much time and effort to a worthy cause. They are all heroes and heroines. Thank you, thank you, thank you! When my father Kazar Sarkis Melikian emigrated from Turkish Armenia to the United States in 1907 as a young man of 17 he joined his older brother Mardiros who was one of many ethnic Armenians who had moved to Worcester earlier. The Armenian colony, while small was not insignificant. It had its own Church and extensive cultural underpinnings. Most were simple laborers who had fled massacre and persecution in Ottoman Turkey, but sometimes the American dream was realized either for themselves or, barring that, for their off-spring. Worcester has had a vigorous presence of citizens with Armenian roots who have added significantly to the cultural diversity of the City. There was a well-known anecdote going around in the early days that draws succinct attention to Worcester's importance to Armenian immigrants. The story goes that an Armenian from Harpoot [pronounced Kharpert in Armenian, the region in eastern Turkey, Old Armenia, where the Melikian family was from] arrived at Ellis Island and was asked where his final destination was. His response "I am going to America." "But you are in America" answered the immigration official. "No" said the Armenian, "America is in Worcester." K.S. Melikian and his older brother Mardiros became well-known in the Armenian community tor their talents, ability and versatility. Among other things, Mardiros, known as a man of many trades and talents, designed and built a main altar for the Armenian Church of Our Saviour, then on Laurel Street, and later, St. Mary's Assyrian Church then on Hawley Street. He definitely encouraged my father. After several apprenticeships (unpaid) with Worcester photographers and short-term partnerships, my father was able to buy his own studio by May 1920, and soon after married my mother Teris Hovsepian of Kharpert in September 1920. The K.S. Melikian studio at 421 Main Street became a focal point for photography not only for the tattered remnant Armenian immigrant community who arrived in larger numbers after the Genocide seeking to rebuild their lives, but also for various activities for a much wider non-Armenian community in Worcester, Worcester County and even out of State wishing to take advantage of his talents. My Dad was quite involved in what one might refer to as public affairs and the like. When my Dad died in March 1969 I was faced with the decision of what to do with the Studio. The upshot was that I decided to keep the business. It was a challenge but with my cousin and colleague June Benoit (whose mother was one of Mardiros' children) kept the business going until May 7, 2011. The next thing was to figure out what to do with the enormous photographic collection that had accumulated over the years. My father not only had deep Armenian connections in this country, but he had even kept touch with an Armenian photographer in the Old Country and in that way, retained his connection with the homeland as long as he could. The 1915 Genocide ended that. A wealth of Old Country photographs comprised part of his collection. The Melikian Collection is unique not only for those with Armenian roots or identity, but American ethnic history in general. It will be of great interest to those specializing in photography, especially studio photography, as it developed in the early twentieth century USA. It is part of America's history. A National Geographic Magazine article (February 1955) said "Cities Like Worcester Make America, From the "Village Blacksmith" to New England's largest inland metropolis, this community has grown with industry and Yankee ingenuity" were characteristic of America. This was the City that my father worked in and contributed to, and loved. We made the decision to donate to the Worcester Historical Museum on Elm Street those materials that were of more general and specific interest to the city's history. These materials as well as my Dad's Century Grand Studio Camera, a dinosaur of a work-horse and now a real antique (it was patented in Rochester, New York in 1902) are at the Worcester Historical Museum under the directorship of Bill Wallace. Abe and Gene pursued the path of getting the Armenian Collection to the Library of Congress. This in itself was a task but it is all done. See Library of Congress Prints and Photographs for a sketch of the Catalog entry. Once again I thank Abe and Gene, my dear cousin June, the volunteers from Congressman Jim McGovern's team who saw the importance of the work and volunteered their time-off, their free-time to getting the project to the finish line so far as we are concerned. The rest is in the hands of the Library of Congress. We all realize that it will take a long time to digitize and process the materials but we all feel very happy, especially June and myself, that this will all now 'really be part of history’ - indeed part of American history. When the last load of materials was out of Mary’s hands and had been delivered to the Library of Congress, we sought Mary’s advice and decided to put the video on YouTube. We uploaded it to our Conscience Films YouTube site but upon hearing of her death the morning of September 22 we decided to edit and replace the original posting. What follows is the script of what we added to the video and which we have decided to present here in this format as well since it is perhaps a bit easier to read. OF EQUAL IMPORTANCE DETAILS ARE ADDED THAT HOPEFULLY WILL ENCOURAGE SUPPORT FOR THE MELKIAN PROJECT IN A MEANINGFUL WAY. Read on! 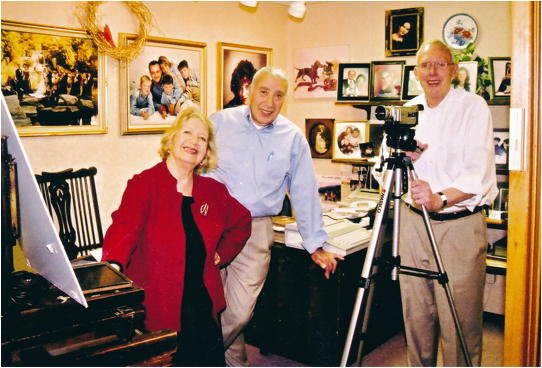 “The following video of the Melikian Photographic Studio in Worcester, Mass. was made in 2006. The Studio at 421 Main Street moved around the corner to 38 Front Street in 2009 when the building was sold. Mary Melikian and June Benoit finally closed the Studio in 2011 and retired. A family business of some 90 years thus came to an end. What follows in this video in no way does justice to the scope and vastness of the Melikian Collection as it relates to 'Things Armenian'. They are only shown in a general way. To even summarize the Armenian component by video would be virtually impossible. Kharpert and its surrounding villages comprised an epicenter of Armenian life in Old Armenia before the Genocide, and Worcester was an epicenter for the Armenian immigrant community in America. The phrase “brought to completion” is in itself 'incomplete’ however. The physical transfer from Worcester, Mass. was made possible by efforts expended through the involvement of Ms. Gladys Rodriguez-Parker, Mary’s neighbor, friend and longtime aide to U.S. Rep. James P. McGovern (D- Worcester). Through the very kind involvement of staff, both workers and volunteers, and during non-working hours, materials were either boxed and hand delivered to the Library of Congress, or mailed using FedEx labels kindly supplied by LOC. This saved Krikorian and Taylor a great deal of trouble. Congressman McGovern and Ms. Rodriguez-Parker have been very supportive over the years and have recognized the role played by the Worcester Armenian community. A detailed accounting of the Melikian project is, of course, a ‘history’ unto itself and will one day see the light of day and certainly be deposited in an appropriate place as a historical document, complete with “paper or email trail.” To the point, getting the material into the Prints and Photographs Division at the Library of Congress was not straightforward, and complications that we attribute to personalities, projected space, budgetary and staff constraints, all entered into the picture. Indeed, one can even point to a disappointing lack of commitment or sense of urgency - amazingly enough on the part of some 'in house' at the Library who one might have expected would be more assertive and promotional re such an important Armenian photo collection. The Collection constitutes a generous gift to the Nation in general and to Americans of Armenian ancestry in particular. And, surely eventually many others all over the world as well. By being housed appropriately and curated in the Nation's Library these invaluable materials will be available for study and research. The task of deposition is now complete. Mary Melikian turned 89 on September 1, 2015. She was satisfied as is her cousin June Benoit that the Melikian legacy is secure for future generations. Mary was very pleased that the video had been posted to YouTube and was anxious to bring the project to completion by sending out a letter of thanks. The letter was composed over several days and finalized late in the afternoon of September 21 when we all reviewed it over the phone. 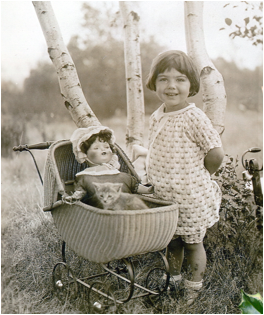 Mary died peacefully, totally unexpectedly the following morning September 22. One can only speculate that any efforts towards digitization will take a substantial period of time. The task will then be one of attestation and attribution. This will surely keep scholars and enthusiasts busy for some time to come. We, Krikorian and Taylor, have already undertaken some relevant studies on some of the photographs and this work will surface one day. Hopefully sooner rather than later. Lastly but by no means least, we respectfully urge the Armenian Community, and all those interested in the Diasporan immigrant communities of New England, to support actively the processing and digitization of the Melikian material according to Library of Congress standards. Monetary contributions and financial support are critical for such projects. Lack of expression of real interest and lack of support might well allow progress to be delayed. Projects need support and the deposition into the LOC is by no means a guarantee for prompt processing. Budgets are being cut and everyone has a pet project. To speed things along, financial support and expression of interest will be necessary. The more substantial the better. Make it clear that such support is specifically earmarked for use in support of the digitization and curation of the Kazar Sarkis Melikian Collection at the Library of Congress. COMMUNITY IN AMERICA. ACT NOW!